Why Do Some Children Wait to be Adopted? You visit a photo listing of waiting children and notice a cute little boy who is waiting for a family. A few weeks later you smile when you see that he’s been matched with a family. But, then a month or two passes and you notice he’s back on the list. So you ask yourself, why? Families review and consider the adoption of waiting children with the best of intentions. 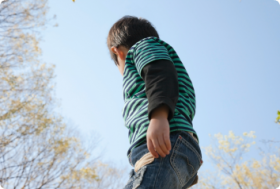 However, in some cases, after identifying a child and committing to proceed with an adoption, challenges arise and families are unable to proceed with their intended adoption. Many times, this happens when there has been no change in the needs or status of the child. A family may have experienced a job lay-off or an unexpected pregnancy. In other cases, the family determines that they are no longer comfortable with the needs of the child they initially accepted, even though those needs remain the same. Whatever the reason, when a family commits to a child and then cannot proceed, the child is left in limbo. The child has already waited months, or even years, for a family and now is back waiting again. When a family changes their mind after an extended match, the child, older by this time, has to be brought back into our advocacy program. The whole process has to start again. The need for an adoptive family becomes even more urgent. Sometimes, children are in need of medical or developmental intervention/therapy that they can only receive once they join a family, so this additional wait means a longer wait for treatment, and a longer wait to begin the transition and attachment to an adoptive family. This, in turn, increases the level of difficulty in finding a family for the child. This is not to say that there is not hope. Time and time again, we see families embracing the opportunity to bring children into their families who have waited for long periods of time. We are so thankful to all of our families who are ready to commit to the needs of these children and help them build new, bright futures. In an effort to support the children who continue to wait for adoptive families, CH/LSS identifies Child-Specific Grants for some. It is our hope that committed families who understand and are comfortable with embracing the needs of these children will be identified as soon as possible. We will help in whatever ways we can to expedite the case as the families move forward so that these children can come to their new families as soon as possible. There are many children currently in need of adoptive homes, including those highlighted below. 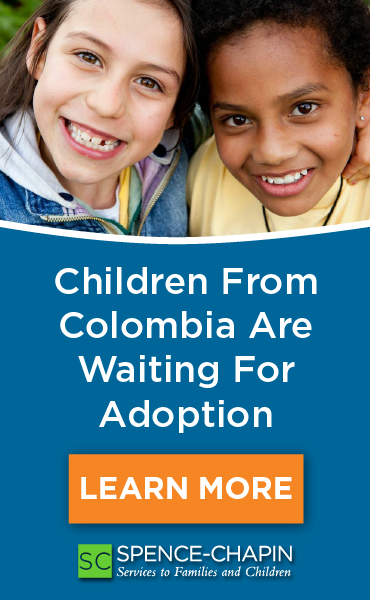 Please help us to identify families who are prepared and able to welcome these children into their lives. Because of privacy concerns, we cannot share the photos of these children in this blog, but photos are available to eligible families who inquire. H (RainbowKids # 29803) celebrated his third birthday in March and we hope 2016 is the last year he waits for his family! We have been advocating for a family over the last two years and he has always been described as lovable, charming, and having an extremely active personality. His foster mother was a past preschool teacher and she notes that he is very observant, quickly follows instructions and understands what is taught. He can speak in full sentences, greets friends, draws, participates during story time, identifies his body parts and can identify colors. He has slight developmental delays but does not have any current medical concerns. His adoptive family is eligible for a $2,000 Sons of Hope Grant and a $7,500 Child-Specific Grant, and may also qualify for grants through CH/LSS and Brittany’s Hope Foundation. We urgently need a family for D (RainbowKids # 28875) who turned 3 years old in September! When our agency staff met “D” they noted that he was running and smiling during the meeting, showed an interest to noisy toys, and was very active. Although “D” doesn’t interact directly with others he will mimic their actions. “D” receives speech therapy and can now say “yes,” “no,” and sing along to songs. He is very resourceful and will use gestures to communicate; for instance, he will go to the fridge and indicate what he would like to eat. His foster mother reports that he is loving and comes to her to be held and will watch her sing as she puts him to sleep. Please email intchild@chlss.org and reference ID 114-18 to learn more about “D’s” needs and background. His adoptive family is eligible for a $2,000 Sons of Hope Grant and a $7,500 Child-Specific Grant, and may also qualify for grants through CH/LSS and Brittany’s Hope Foundation. M (RainbowKids# 26718) was born in October of 2012 and has been waiting for almost two years for his family. He is described as a playful boy with a lot of charm and is a typical active preschooler. He attends a preschool where he has learned to be patient, assist friends that need help, follow instructions and listen attentively. “M” shows good motor development, can speak in sentences, point to body parts accurately when asked, can catch a ball, dress himself, and recite nursery rhymes. Please email intchild@chlss.org and reference ID 114-03 to learn more about “M’s” and his needs. His adoptive family is eligible for a $2,000 Sons of Hope Grant and a $7,500 Child-Specific Grant, and may also qualify for grants through CH/LSS and Brittany’s Hope Foundation. We thank you for taking the time to get to know a few of the children who wait, and for learning a little about why children may wait for so long.